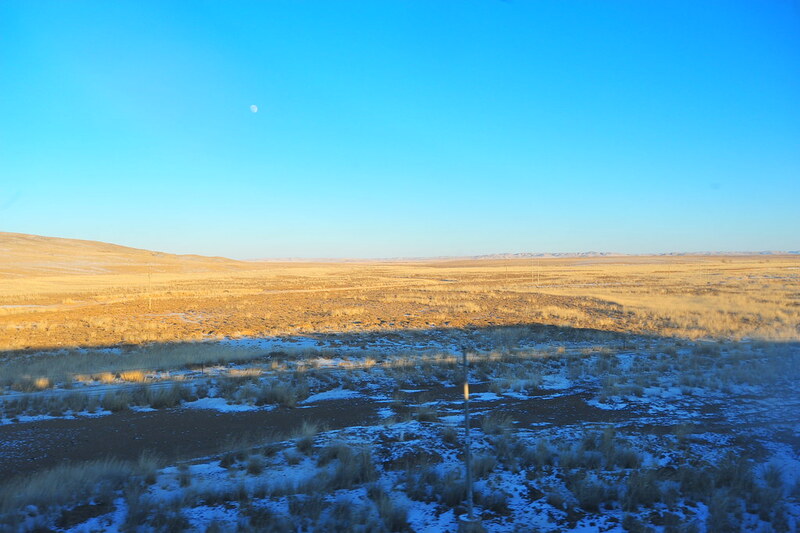 After a quick and yet harrowing stopover in Erlian at the border between Mongolia and China, we spent the next 8 hours on the train passing the time by mostly eating, talking, looking out the window into the Gobi desert, and in depth soul-crushing philosophy. 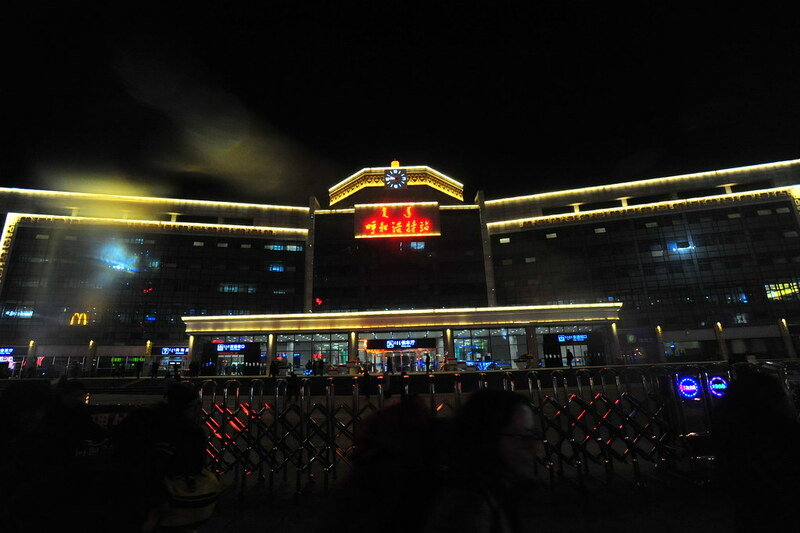 We arrived in Hohhot — the dynamic capital of China’s Inner Mongolia — 41 minutes ahead of schedule at 9:30pm. 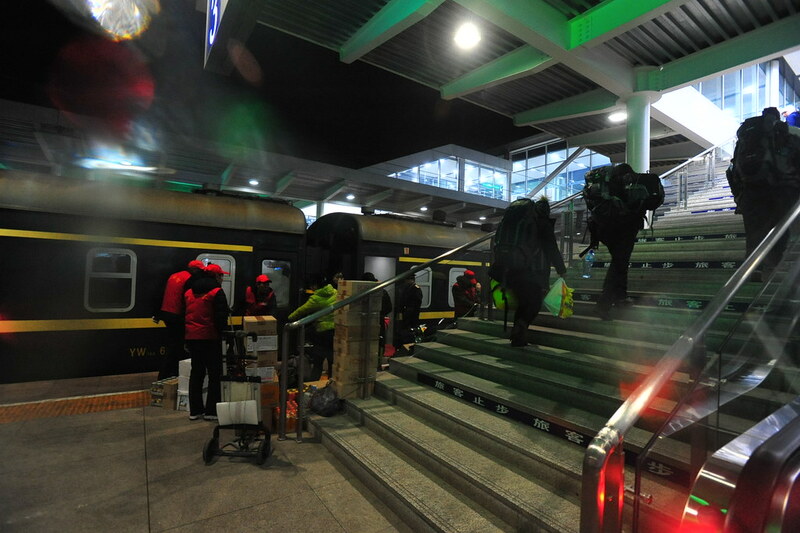 To change trains here you have to physically exit the station and go back through the main entrance and through an initial set of security checks showing your printed itinerary and passport, then go through another set of security checks to enter the ticket office on the left of the main entrance to exchange your printed itinerary for physical tickets (or purchase them on the spot if you didn’t reserve them ahead of time), then head back outside again to go back through another set of main security lines to get into the main waiting area. 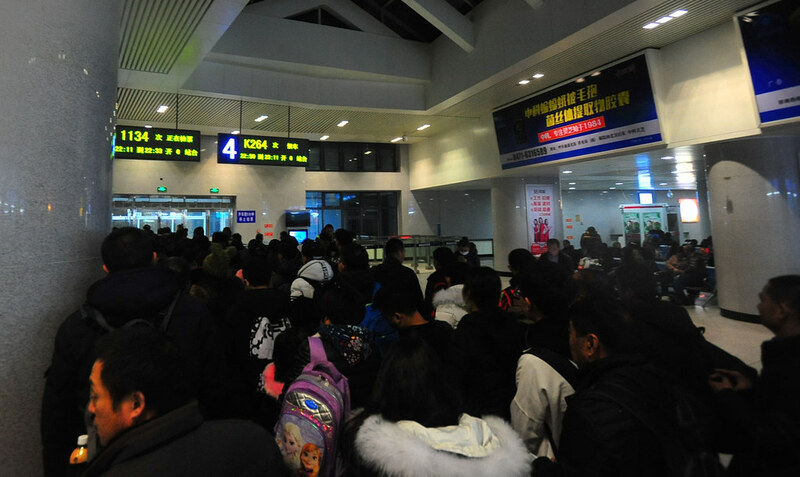 Oh, how I missed Chinese bureaucracy. Wifi in the station is spotty and there are no free electric plugs. I was able to sneak behind a kiosk and fish out a surge protector to charge our stuff but an angry restauranteur tried to tell us off a few minutes later. After some charming in broken Chinese Mandarin and letting him know that I needed the electricity for work, he let us charge our stuff for 20 minutes before they shut the power down. During our 30 minute wait to board, 2 more great things happened: Taylan was accepted into Cambridge University’s Postgraduate PhD program and a local cashier graciously bought toilet paper for Melissa when there was a confusion in translation (Melissa doesn’t speak any Mandarin and the cashier didn’t speak any English). 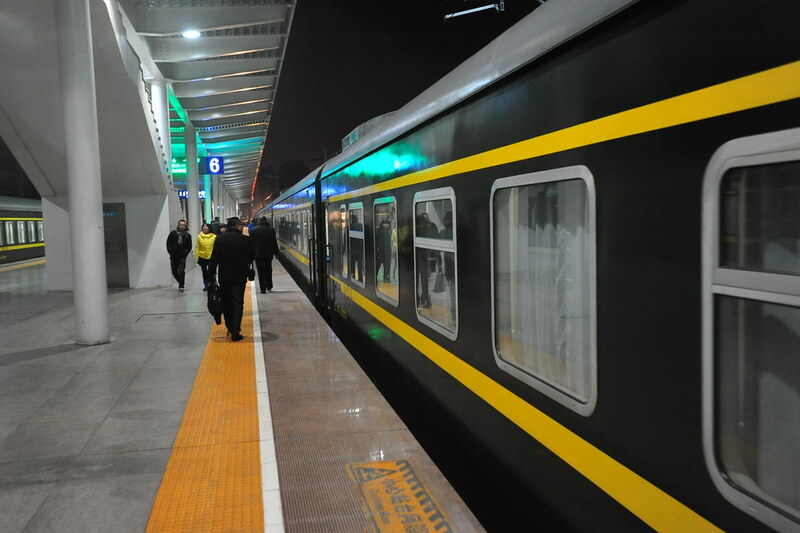 Because those are the kind of things that happens on your first day in China? 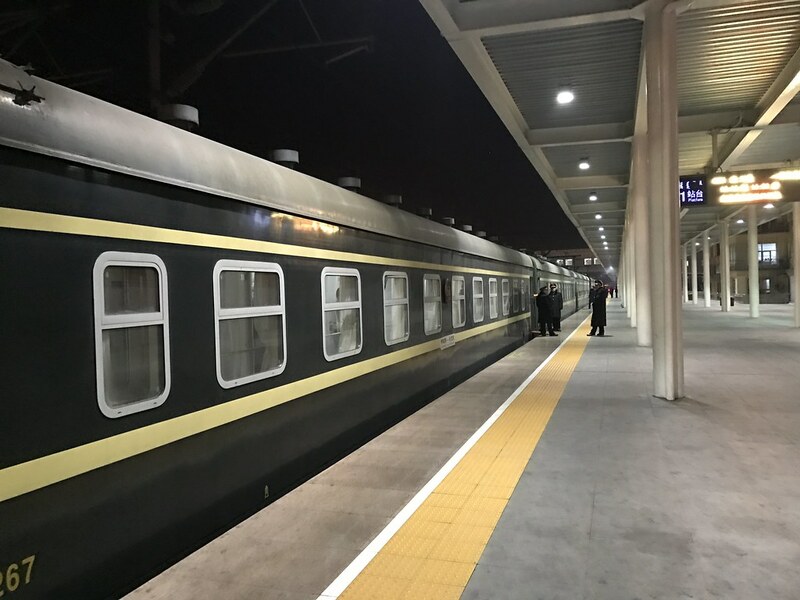 We finally boarded at 10:50pm for Train #264 leaving from Hohhot to Beijing, arriving the next morning at 7:10am. There’s no sense of waiting in line, obviously. 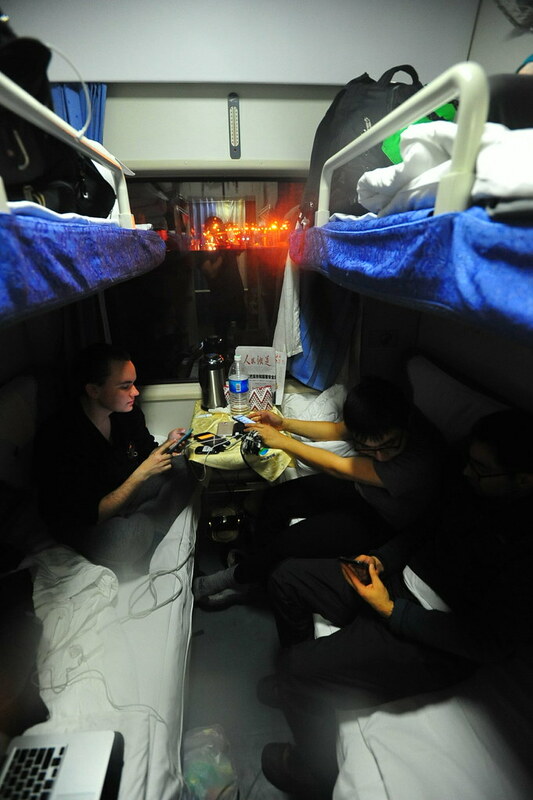 The 2nd class cabins on Chinese trains are a vast improvement over the ones we rode leaving from Russia and Mongolia; the sheets are softer, the beds are designed more intelligently, and there are working electrical plugs at 1500V (instead of the 40V on the previous changes) inside every cabin instead of 2 communal plugs per wagon. 5 years later, it’s good to be back in the motherland. 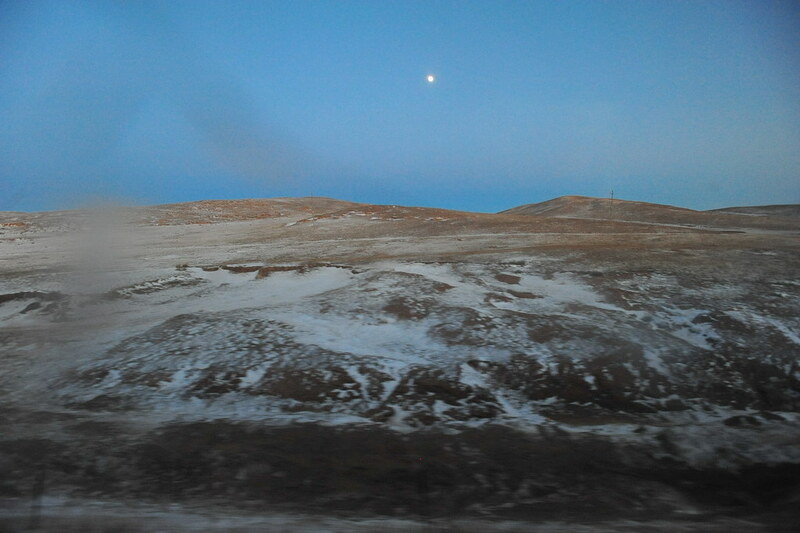 8 more hours until Beijing. Time to drink! 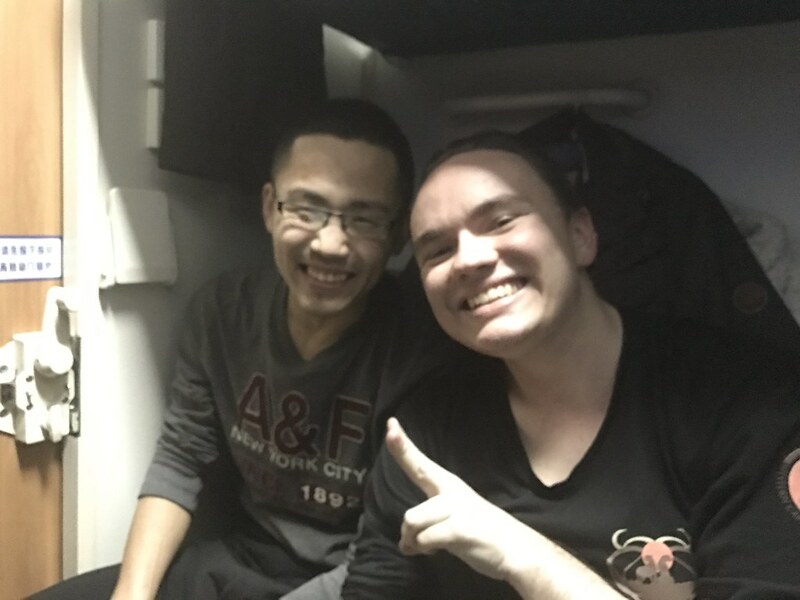 Our Chinese bunkmate is heading to Clemson University in South Carolina tomorrow, which is where Taylan is from. SMALL WORLD!